A good friend of mine is a writer. We catch up every now and again and share what’s happening in our world’s. This morning the conversation circled around design. Seth mentioned the approach of Dieter Rams. My face went blank, his eyebrows raised, I made a note of the name. I typed it in as soon as I was back in the studio. Somehow, and I don’t know how, in all of the time I spent studying design at University and the ten years that I’ve worked as a clothing designer, Dieter Rams, one of the most influential designers of the 20th Century, has slipped under my radar. I’ve had three coffees and spent the last few hours learning about Rams’ work. It feels like I’ve found a brother. Or a great uncle… he’s 86. I found this interview he did with the V&A - the thoughts that really struck a chord for me were at 3.52 + 6.43. Those that follow my work will hopefully see the parallels. In the late seventies, Rams set out what he believed to be the ten most important principles for design. They’re now stuck to the wall next to my desk. As someone who’s a few steps along my own path; it’s incredibly inspiring (and a bit of a relief) to see that there’s a place for good design, in its purest sense, to succeed. To know that it’s not all down to marketing budgets and celebrity endorsement. In February 2017, Dieter Ram’s was interview by Kinfolk Magazine. For those with a passion for design, the transcript makes for interesting reading. Here’s a copy. 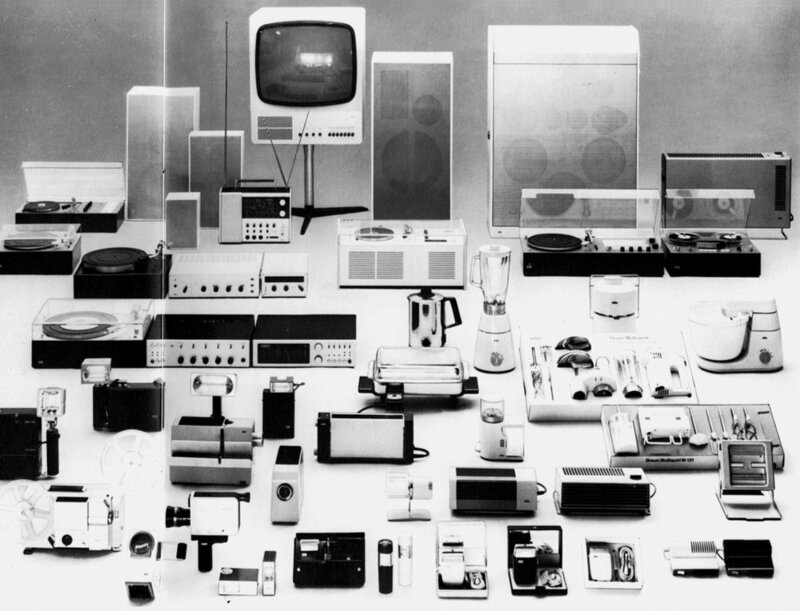 Dieter Rams, head of product design for Braun from 1955 to 1997, met this challenge and delivered its promise more capably and comprehensively than perhaps any other designer of the late 20th century. His designs for radios, calculators, clocks, kitchen appliances and furniture make them quietly understandable and agreeable. These seemingly modest attributes derive from an intense effort, Rams says, to “return to simplicity,” to abandon the designer’s ego and to fight the market’s “ruthless exploitation of people’s weakness for visual and haptic signals.” So, his products explain rather than announce themselves, their buttons and dials invite rather than demand adjustment and their colours and textures gently serve these ends. Each refinement finds more effective ways to use industrial processes and optimise material, so that manufacture and aesthetics resonate together. This is a global struggle against excess, waste, visual pollution and environmental destruction. Since his retirement, Rams has continued to advocate these values forcefully in essays, interviews and exhibitions—and later this year in a documentary film—reasserting that design must serve rather than dominate people, and that it must help us feel comfortable with fewer things so that we can resist wasteful exploitation of material and energy. “We need new structures for our behaviours,” he declares, “and that is design.” For Rams, industry-art must not only evoke delight; it should also guide ethical thought. Design historian Klaus Klemp refers to Dieter Rams as one of the two great bridges of modern design. If earlier designers carried the traditions of art toward industry, Rams carries industry toward the home and civil society. Dieter Rams recognises the responsibility of designers to activate the liberating capacities of industriekunst and to enlist useful and agreeable objects in service of people and the planet. Calm, sober and intellectual surprises should always be possible with design. Practical value and beauty are not mutually exclusive, even today, and they are unlikely to be so in the future either. For me, a restrained aesthetic and function that is as optimised as possible have always been important. These qualities lead to long utilisation cycles: The objects do not become visually unbearable after a short time because they have not pushed themselves into the foreground. Certainly, these qualities also act as a constraint upon innovation. We really should consider very carefully whether we constantly need new things. I have been arguing for a long time for less, but better things. A number of authors have noted that your work was influenced by the Bauhaus. It seems more productive to think of your work as fulfilling the promise of Peter Behrens, widely considered the world’s first industrial designer and mentor to Mies van der Rohe, Le Corbusier, Walter Gropius and many of their contemporaries. Very early in his career, Behrens declared that there is “a liberating quality” to the union of practical utility and abstract beauty because these were so often in opposition to each other in his era. Part of his success later, it seems, is that he capitalised on overcoming this opposition—with appealing and often surprising results. 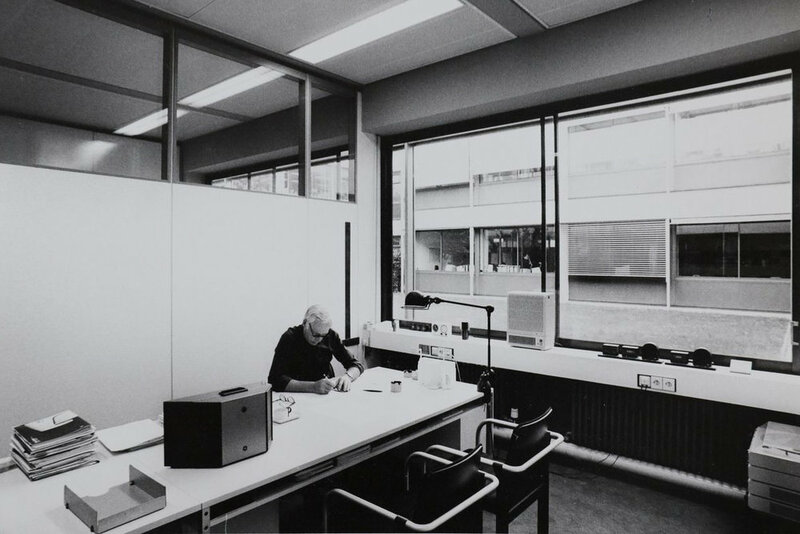 During your career at Braun, did you sense any continuity with the pioneering efforts of Behrens in his role of creative consultant at German industrial design company AEG?